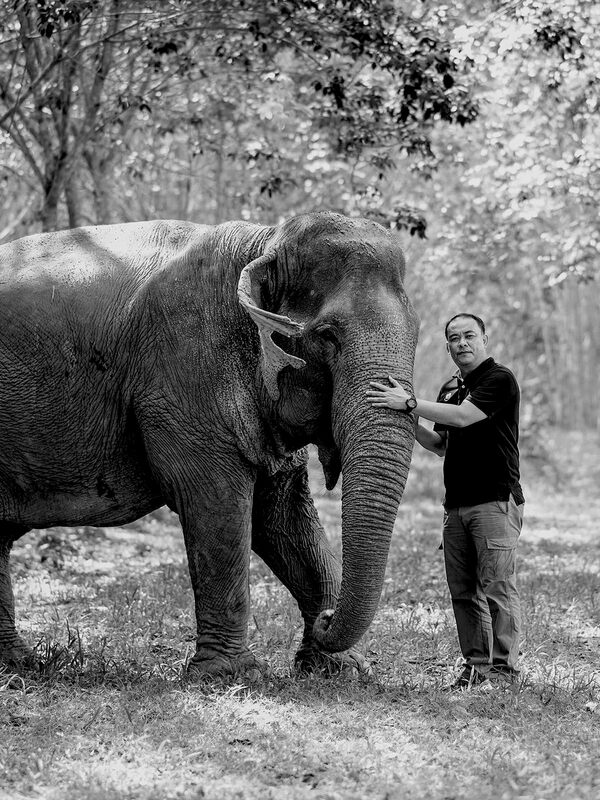 We kept Tong Kwaw close to Jan Jao, hoping they would become close friends. 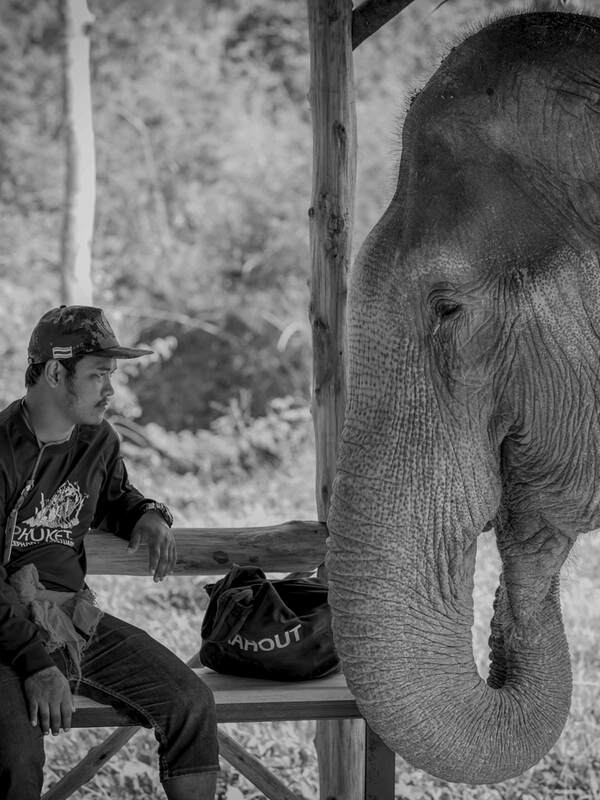 Jan Jao had joined us a few months earlier and had previously worked together with Tong Kwaw in a riding camp in the Krabi Province. 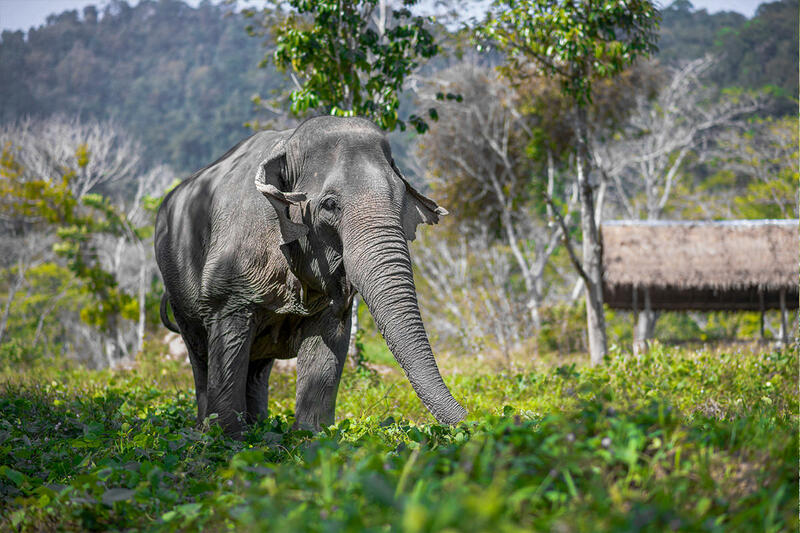 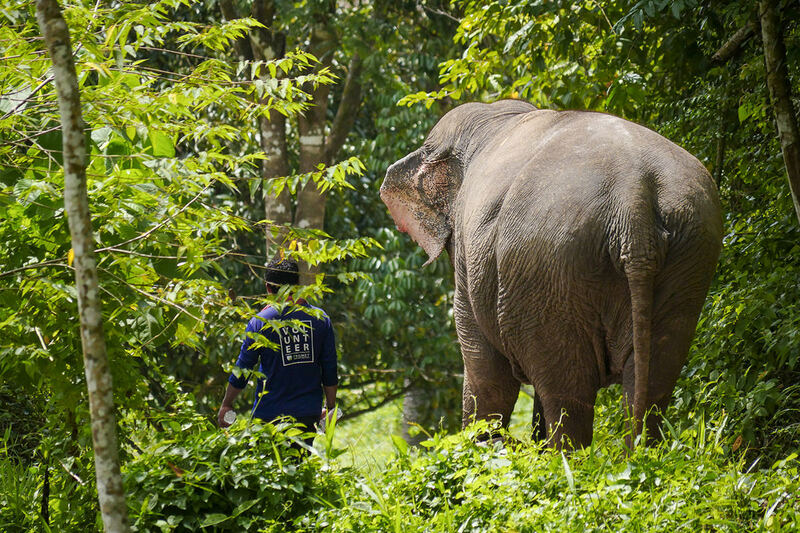 It took a while for Tong Kwaw to adjust to the new environment, but now she enjoys her life of freedom, far away from the hard work she once knew. 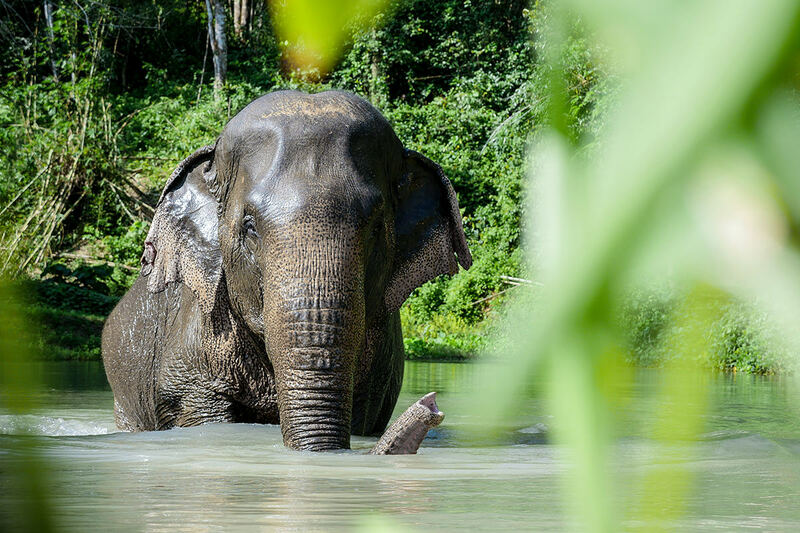 She explores the sanctuary with a great sense of curiosity, wandering around, playing with palm trees, dipping into the ponds to spray herself with cold water and making sounds of happiness. 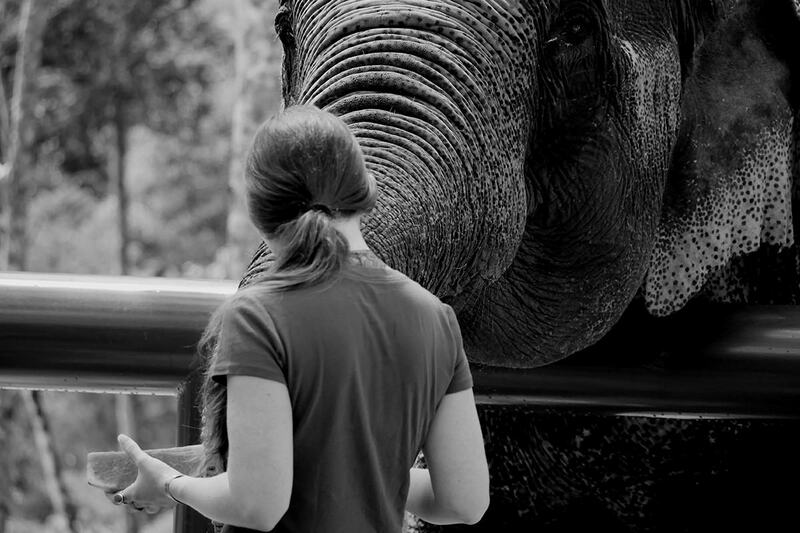 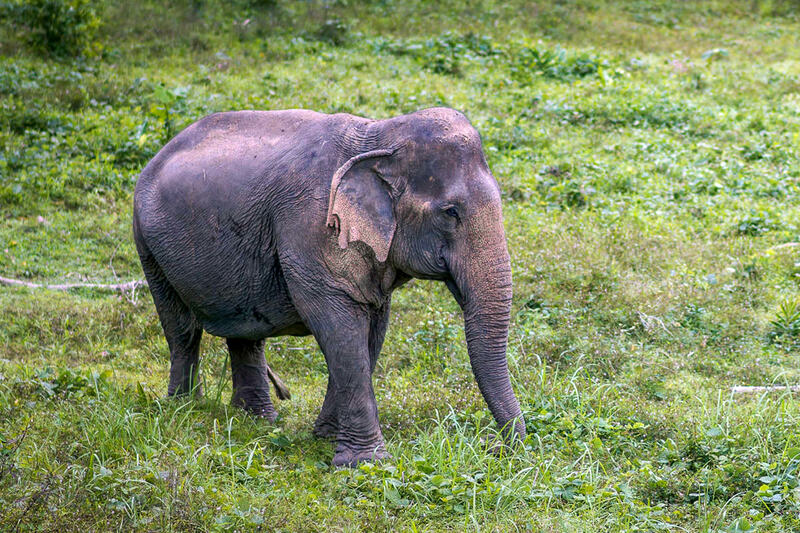 Her curiosity really is unique, and we can often see her pause chewing grass to listen to the sounds of other elephants. 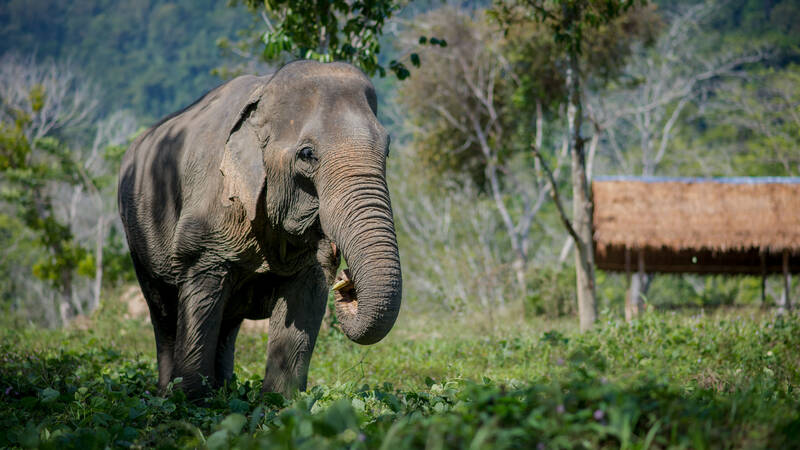 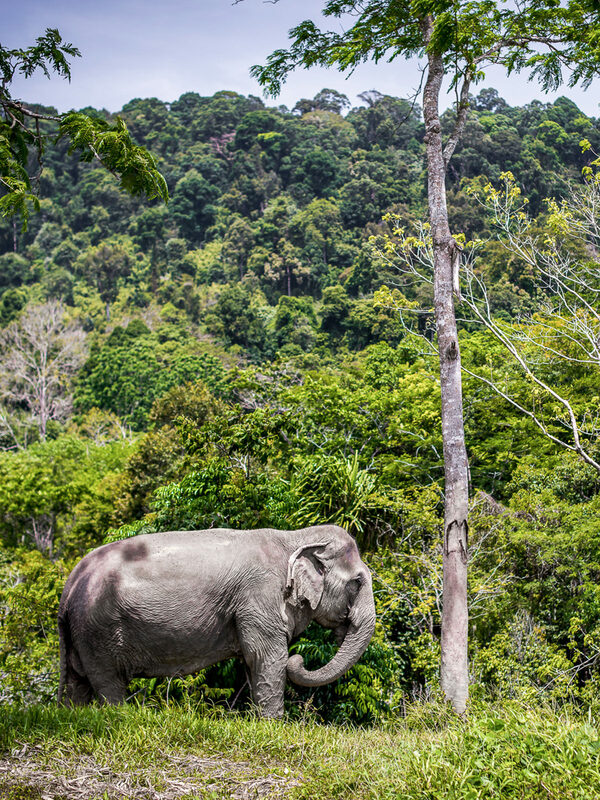 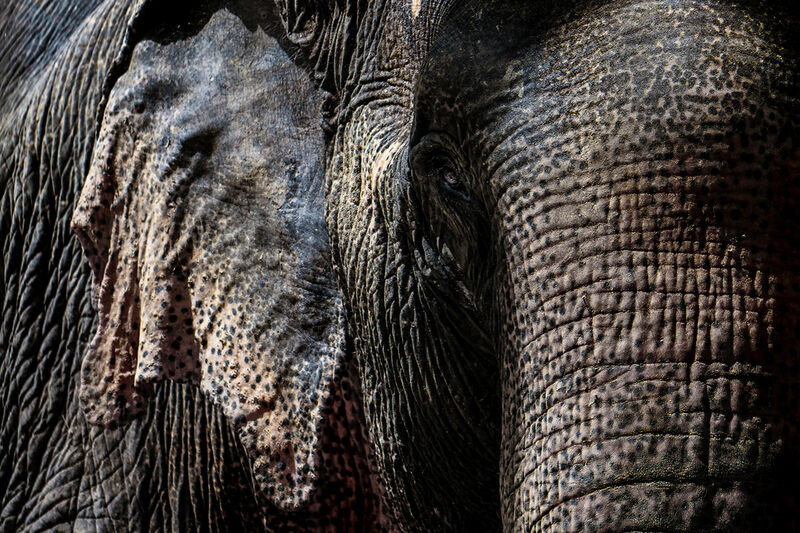 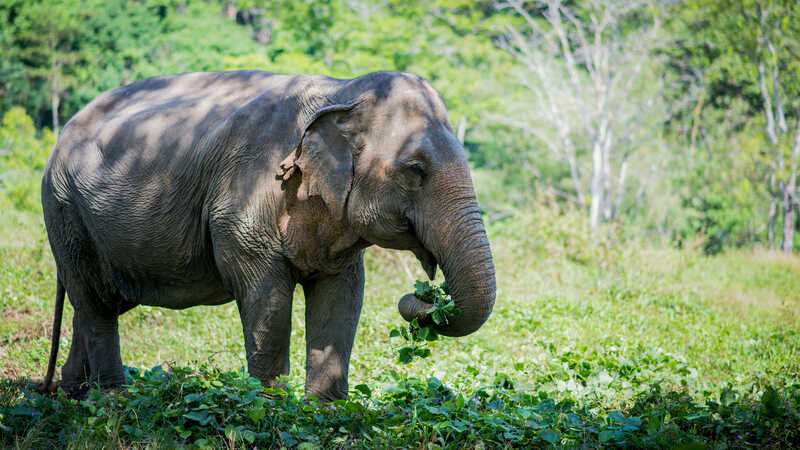 We love seeing this natural, curious and happy behavior in Tong Kwaw and look forward to many more happy years for her at Phuket Elephant Sanctuary.